Alabama’s two main economic development leaders urged state economic developers to continue to evolve and advance to help keep the momentum Alabama has enjoyed in landing and expanding industry. Alabama Gov. 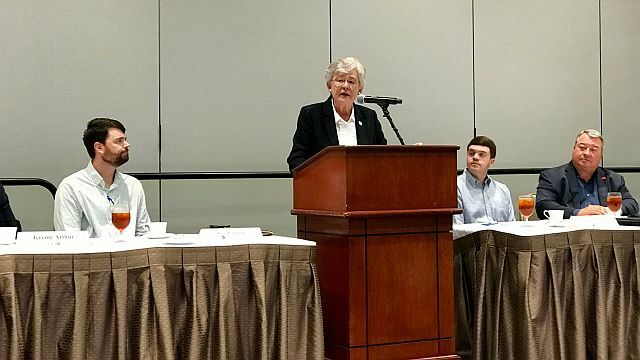 Kay Ivey and Alabama Commerce Secretary Greg Canfield addressed the 2018 Summer Conference of the Economic Development Association of Alabama Monday. Both had much to brag about. Alabama’s economy has roared back since the Great Recession a few years ago to post the lowest unemployment in state history and some of the biggest names in business now — or soon will — have significant operations in the state. Strong economic growth highlights state development conference from Alabama NewsCenter on Vimeo. 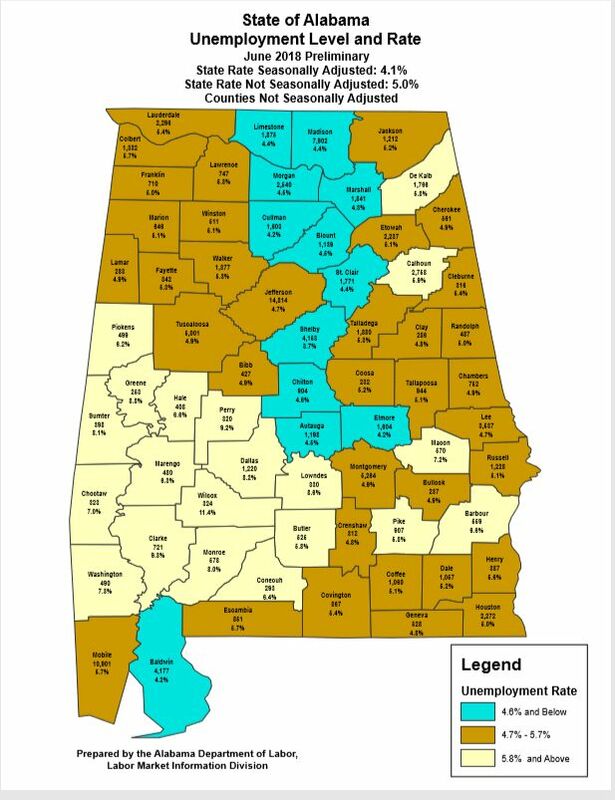 Alabama unemployment in October 2009 was 11.8 percent. In May 2018, it was 3.9 percent. 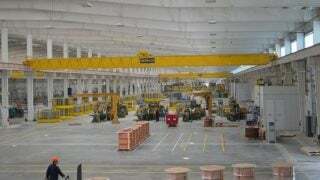 Alabama’s gross domestic product (a measure of total economic output) was 2.5 percent in 2009. In 2017, it was 3.3 percent. In 2017, the state announced economic development projects with $4.4 billion in capital investment that will create an estimated 15,456 jobs. Monday, AIDT, the state’s lead workforce training department, announced it is working a record number 135 projects with 30,000 jobs. Ivey credited economic developers at the local level across the state with helping achieve the success. “These jobs are in large cities like Mobile and Birmingham, but they’re also in smaller towns like Brewton and Bridgeport,” she said. Ivey said corporate CEOs from around the world tell her they are successful in Alabama because of the quality and productivity of their employees in the state. Part of keeping the momentum the governor talked about is gearing economic development toward the jobs and businesses of the future. Canfield said the state is about to get a major tool to work with in that regard. Alabama EPSCoR, which represents research universities and private institutions like Southern Research and HudsonAlpha, is close to unveiling a gamechanger. “EPSCoR is putting together and about to launch a digital database that’s searchable so that economic developers and site consultants and companies who want to be able to find out where they can link their product development and their own internal research with that of public universities or private research institutions, they will actually be able to go into this database and if they want to find something like who is doing research right now on composite materials, who is doing research on nickel alloys in the aerospace sector, who is doing additive manufacturing and powder alloy research in technology development? They can actually go in and be linked to the specific researchers doing that work, not just at the university level, but at the researcher level,” Canfield said. Canfield’s optimism is due, in part, to education at all levels of the state (K-12, community colleges and universities,) along with worker training initiatives working closely to complement each other’s efforts. With that alignment, Ivey wants to ensure education and worker training are looking ahead to what’s needed. 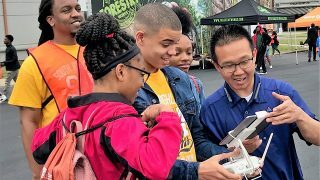 “We’ve got a great workforce, but we have got to keep the pipeline full with folks trained with higher skills to meet the jobs that we know are coming, and some of them are already here,” Ivey said. Many of those next-generation jobs will be in aerospace. Ivey said the state delegation’s recent efforts at the Farnborough International Air Show are paying off. Canfield, too, is hopeful for the state’s chances on the T-100 trainer. “I am so eager to hear positive news for Tuskegee and Macon County,” he said. Ivey said watching Alabamians get good-paying jobs is the true goal of economic development. Gov. 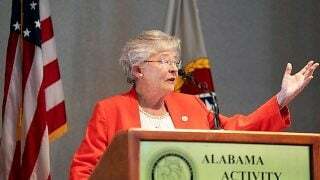 Kay Ivey addresses the 2018 EDAA Summer Conference from Alabama NewsCenter on Vimeo. 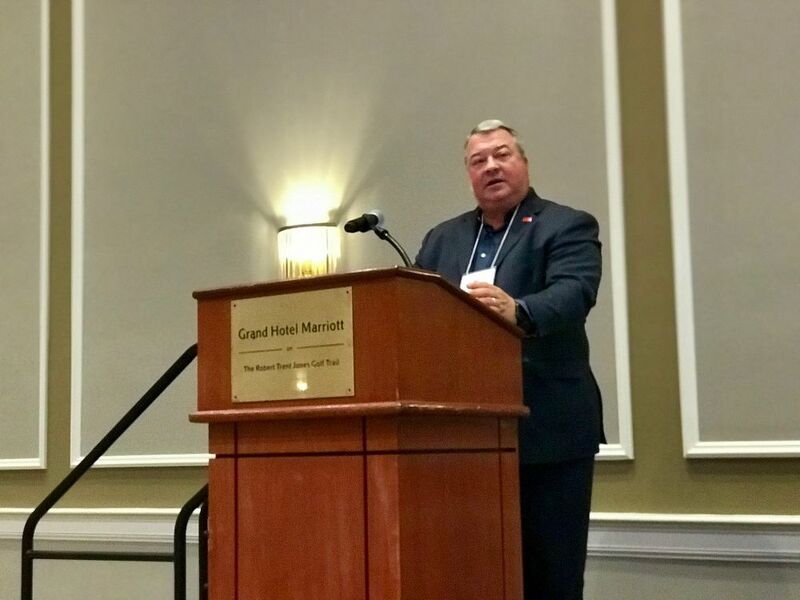 Greg Canfield at the 2018 EDAA Summer Conference from Alabama NewsCenter on Vimeo.